Please check the port is not being used by another program in your system. If this does not solve the issue, unplug and then plug the device back in again. If you need further help, please open a support ticket via your Dashboard and we will be happy to assist you. 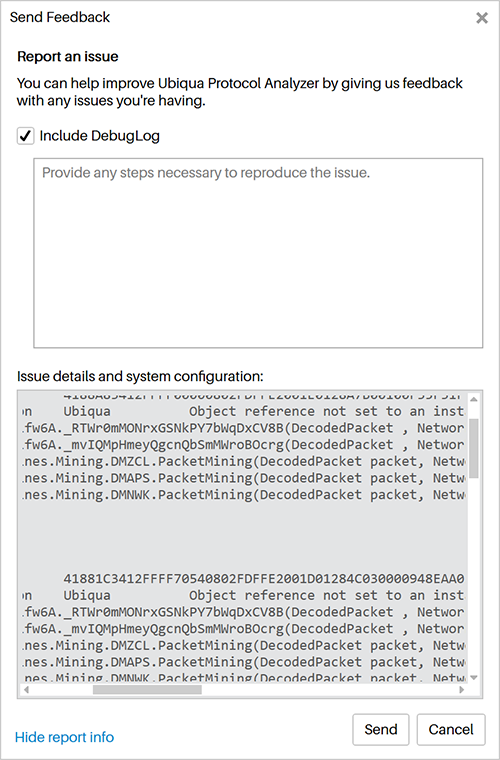 To help us to diagnose your issue, please include the DebugLog.txt file located in C:\Users\USERNAME\AppData\Roaming\Ubilogix\Ubiqua. You can reach this folder quickly by typing %AppData% in your File Explorer address bar. 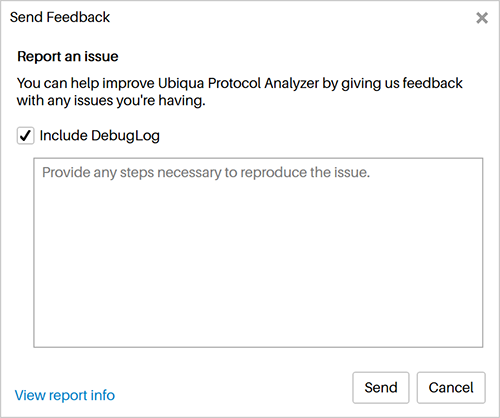 You can help improve Ubiqua Protocol Analyzer by giving us feedback with any issues you’re having. To report an issue through Ubiqua click the Help > Send Feedback menu item, following this action, a dialog window will appear on your screen with a text box where you will be able to fully describe the issue you’re having, we recommend you to write step by step the procedure you are following to replicate it. This will help us with the task to track it down and solve it. At the bottom left of the window there is a link with the legend View report info, if you click this link, the dialog window will expand to display a box with your DegugLog, which is a historic record of the events that occur in Ubiqua, such as crash reports and thrown exceptions, to add this information to your report, click on the Include DebugLog checkbox. Finally to send us your report click on the Send button located at the bottom right of the dialog window, otherwise click on the Cancel button.